Which Is The Best Antivirus For Mac? While Apple Mac viruses and malware may not make the news as much as their Windows brethren, they exist, and their numbers are on the rise. Just like with Windows PCs however, there are any number of options out there to choose from. 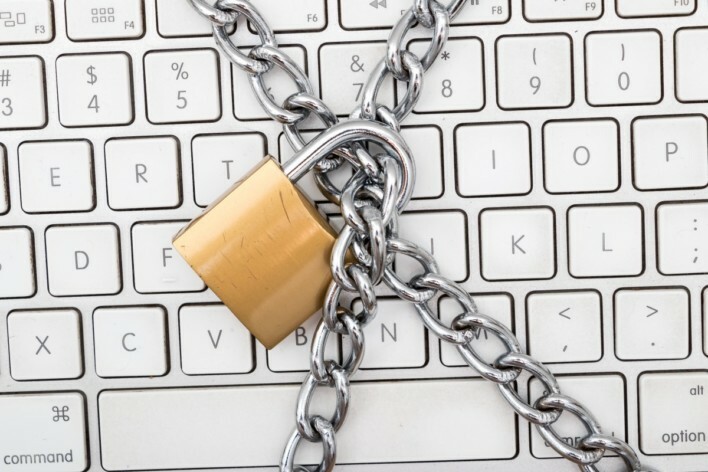 But what is the best Mac antivirus available? Don’t panic, we’ve done the hard work and the research and come up with three of the best, so you don’t need to. Macs are great, but is your machine infected? But Macs don’t get viruses, right? Mac operating systems are of course built with inherently better security than the Microsoft option, but the myth that Macs don’t get viruses is just that, a myth. Recent research by Malwarebytes showed that despite a smaller userbase than PCs, malware, ransomware, spyware and phishing attempts, collectively increased by 270 percent in 2017, alone. So basically when it comes to security and peace of mind for your Apple Mac, you have two options; either free or paid for. Free anti-virus software’s main advantage is just that, it’s free. And that can be a very enticing offer. On the plus side, you get security software that is free, and in many respects is just as good as it’s paid for siblings, at least when it comes to basic security. On the downside, it does tend to come with advertising, and free versions are also quite often time-limited. There’s also the fact that with free antivirus, there’s a manual element involved. Generally, it’s up to you to remember to run a scan, and you don’t get all the comprehensive protection and added benefits that come with the premium options. If you are on an extremely limited budget, then a free antivirus is a better option than none at all. But, and it’s a pretty big but, the price for complete security and peace of mind, could cost you a lot less than you think. Paid virus protection systems often include useful extras such as backup and recovery tools, useful if your Mac crashes, but they also invariably come with Mac unique performance enhancement utilities that ensure that your Mac runs as efficiently and optimally as well. There is also the advantage of high quality customer support and technical back-up, often lacking in free software versions. They will all give you peace of mind. The best antivirus for Mac as of July, 2018. Sophos Home Premium is a highly recommended and well respected security option for Mac. Perhaps the most appealing aspect of Sophos, initially at least, is that it’s free; kind of. Basically, when you install Sophos you get the full premium version free for 30 days. After that 30-day period, while you’ll get to keep some of the features like real time anti-virus and parental web filtering…some of the premium options will no longer be available. But that said, Sophos Home Premium does have it all going on, including some features you’d normally only find in separately bought software. Now, yes, the free version does rate very highly, and is effective. It will keep viruses and malware off your Mac, but the premium version is worth considering. As well as excellent virus protection it also comes with ransomware monitoring, real-time cloud-based configuration protection, and a very modest but generous 10 licenses from only one subscription. Now, while that does bely the fact that this is anti-virus for domestic use, that’s not something to sniff at. Premium also offers that 24/7 email and chat support, which is nice. A year’s subscription will set you back $40, or £32. Anti-Virus option for Mac you’re most likely to have heard of and can trust. 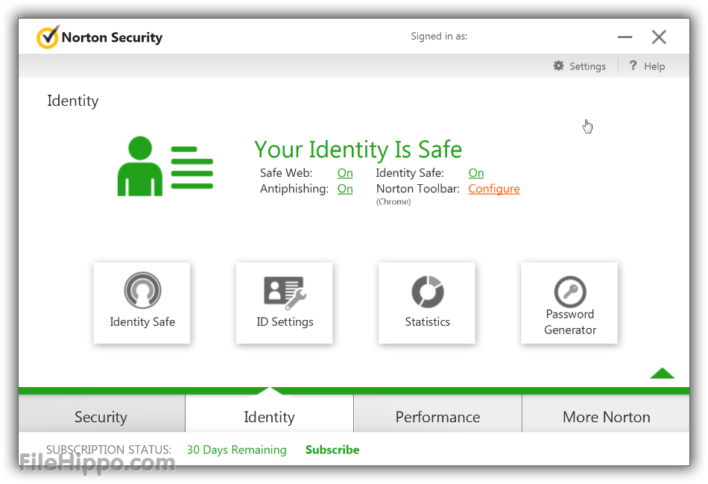 Norton is one of those names in the anti-virus market that has been around forever. It’s the kind of product that was targeting and killing viruses before the internet was really a thing. The company is also still going strong. The chances are also that if you’ve worked in an office at any point in the last 30 years, you’ll have seen Norton somewhere at the bottom of your desktop screen. Norton Security Premium for Mac could be considered the gold standard for malware protection on Mac. Installation is quick, painless and straightforward. The interface is crisp clean and engenders trust. Don’t worry about the two Safari plugins it kind of insists you install at the same time: Safe Web keeps you safe from the dark side of the Web, and Identity Safe is one of the best password managers around. Both are the kind of software you would expect to see being packaged up and sold as separate products, so to see them here is nice. As well as this Norton is mostly unobtrusive, and always on protection does come as default always-on. It does scan quicker than Sophos did, but has pretty much the same hit rate when it comes to malware scanning. A subscription to Norton also Includes 25 GB of secure PC cloud backup, providing additional protection against ransomware, and has great protection for keeping your kids safe on the internet as well. One subscription also gives you the same option to protect up to 10 PCs, Macs, Androids and iOS devices with a single subscription, which is nice, because most households tend to have more than one device. Kaspersky is another one of those names synonymous with Antivirus protection. Don’t be put off by the fact the company is currently having issues with the US government. That’s all mostly to do with politics, and the fact the company is Russian. Seriously, don’t worry about it, it’s fine. Kaspersky is also brilliant at stopping websites from tracking browsing activity. Kaspersky Internet Security can be somewhat troublesome to install if you don’t have much software installation experience. You need to make sure you have the version that works with your version of MacOS, and that’s somewhat disappointing. Both Sophos and Norton do this for you, and in 2018, you’d expect Kaspersky would have automated the process. That said, once you’re past that hurdle, installation and using Kaspersky is a straightforward affair. As with the others above, it offers protection to keep your financial transaction safe, and helps keep your private life private. Malware detection rates are again very high. The biggest downside to Kaspersky is its pricing structure – the more devices you want to protect, the more expensive it becomes. When you consider that both Norton and Sophos cover up to 10 devices for one flat rate, it is disappointing. A 1 year license for 1 device will set you back £39.99. All three of the above, Sophos, Norton, and Kaspersky are all excellent antivirus packages. Any one of them will keep you and your family safe online. Support for all of them is also excellent. But that said, if we had to choose, we would go with Sophos. Sophos just seems to be the perfect overall package. And it’s not like you are limited to just these three. Antivirus and malware protection are as much a personal choice as anythng else. So if none of the above tickle your fancy or you’re after something a little bit different, why not check out all the antivirus solutions on FileHippo.com. The best antivirus protection for Windows can be found here.